Hi guys, Here avjtrickz is back with a new app by which you can earn Free paytm cash .QBucks – Innovative and Revolutionary Mobile Application with focus on common people and optimizing the reach through many quiz type question and answer. QBucks is a new android app and have introduced refer and earn. 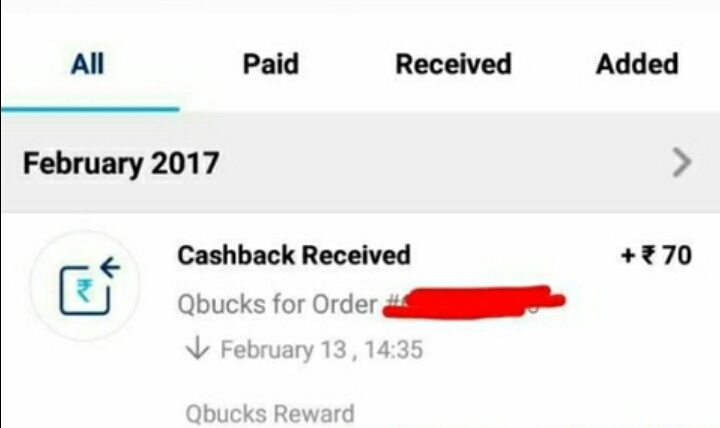 By referring QBucks app to your friends you get free paytm cash. On signup, you get 50 points and you get 50 points per refer, and your friends also get 50 points on sign up using your referral code.You can Refer your friends and earn unlimited through this app.Follow these below steps to start earning from Qbucks. -Verify your mobile number, You’ll get 50 points in your account for using the refer code. -You can also play the quizes in app and earn more points. -Get your unique referral code from “Referral” section. -Share it with your friends. -You’ll get 50 points per refer and friend too gets 50 points on sign up using your refer. -Tap on points and select “Redeem” option. -Choose paytm cash and redeem. -You’ll receive paytm cash within 5 working days. So hurry up and start now!!.. -Download Parallel space App . -Add Qbucks App In Parallel Space. -Now sign up with new details In parallel Space Qbucks. -Click on have a promo code add your promo code. -50 points added in your new account as well as in old account. -Clear Parallel Space App data in device settings and do the same steps again.